What if making a simple mistake cost your business thousands of dollars? It sounds like a nightmare for any small business owner. However, that nightmare can become a reality if you make a mistake (or more than one) with filing business taxes. However, all it takes is small business tax preparation to avoid those simple mistakes. Read on to check out our guide to five of the most common errors to avoid. A big part of your small business taxes will be travel-related deductions. Unfortunately, many businesses make errors when it comes to filing for these deductions. For instance, there are clear rules regarding whether something is technically a business trip. A simple commute is not deductible, but a special trip to meet a client is. Make sure to keep track of every business-related mile for deductions. And finally, don’t limit yourself to mileage: with documentation proving they are for business, you can deduct the cost of gas, insurance, parking fees, and more. Chances are high that you need to be paying estimated taxes throughout the year. And if you file as a partner, sole proprietor, or S corporation shareholder, you are legally required to pay estimated taxes. It’s important to work with a tax professional and figure out how much you should be paying. 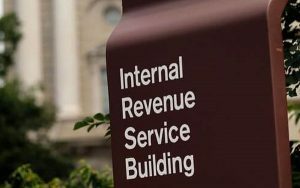 Missing payments can lead to headaches with the IRS and simply compound the amount that you owe. When you’re first starting your business, every deduction counts simply because every dollar counts. But if you don’t get good small business tax help, you may end up making mistakes on these deductions. There is actually a hard ceiling of $5,000 for startup-related deductions. You cannot deduct anything above this amount, as it is instead depreciated over a period of one hundred and eighty months. Taxes are doubly stressful for small business owners because you must file for your business as well as yourself. If you’re not careful, you might end up mixing the two together. You should work with an accountant or tax advisor, as well as keep clear records of which expenses are business-related and which are personal. Furthermore, you must arrange certain spaces accordingly: if you can keep a home office separate, for instance, you can qualify for a special home office deduction. If you’re worried about taxes, then you’re probably trying to hang on to some money. So, it may be tempting to avoid getting small business tax help and file on your own. Take it from us: that’s a bad idea. You should hire a professional because they have the experience and the insight to help you avoid any costly errors. Even better, they can help you find deductions and legal loopholes that ensure you pay the least amount of taxes possible. Plus, a professional provides an extra layer of protection in the event of an audit. They give you peace of mind and help save you money, and that’s a heck of a combo. You know that the secret to small business tax preparation is getting professional help. However, you may not know who to turn to. That’s where we come in. The True Resolve Tax Professionals are a team of experienced experts, ready to guide you through every return and tax issue – even help you with year-round strategies to reduce your tax liability. From simple filing to IRS appeals, we’re waiting to hear from you.